I had a fabulous time yesterday at Hip Hop Hustle certification. I got a few minutes to teach a few 8-counts and it felt good! I’d love to perform in a show. (If I can get the video or picture from the training, I’ll add it to this post.) Now I’ve got a track record of getting certified for a new fitness format every month so far this year (just by coincidence). My plan is to keep networking and substitute teach wherever I can and then eventually lead my own classes once or twice a week. It’s been 6 weeks since I took my AFAA certification class and I finally got my results: I passed! I only missed two questions. PiYo and Insanity trainings are taking place locally next month; not sure I will do either of them until I start using what I’ve got, but I have a lot of fun and meet the coolest people (the Zumba instructors always represent!). It’s so motivating! A week ago, I won the 2013 Stiletto Women in Business Award (SWIBA) Author of the Year Award! My friend Melisa also won a SWIBA, and she was one of the two people who congratulated me, which is the only way I was notified (a week after the awards ceremony). 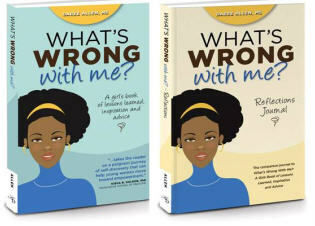 I also recently found out that my book What’s Wrong With Me? is a finalist in the 2012 ForeWord Reviews Book Awards (Young Adult Nonfiction category). I hired a marketing consultant who is helping me fine-tune my website and get more speaking leads. I finished the last interview for my manuscript, so now I can do a self-edit and submit the rough draft to another professional editor. I’ve been dancing all month. With the exception of the day I did my Hustle certification, I’ve religiously attended the dance rehearsals for the Easter Sunday production at my church, as part of a group doing an African dance of worship. I love it. How have you been getting your hustle on lately? Are You Digging a Grave with Your Teeth? Love Hip Hop Hustle! What round are you on?? I just got certified on Round 26. Can wait to work it out! So super proud of you Daree!!!!!! Stay with it girl.